Shirasaya swords are a real find because not many manufacturers make them. These are genuine Shirasaya swords from Hanwei that are fully functional and authentic. Shirasaya swords come with impressive natural wood scabbards and wood handles with hand forged and folded powder steel blades. The hardwood Shirasaya is solidly made to provide safe storage of the blade when not in use. 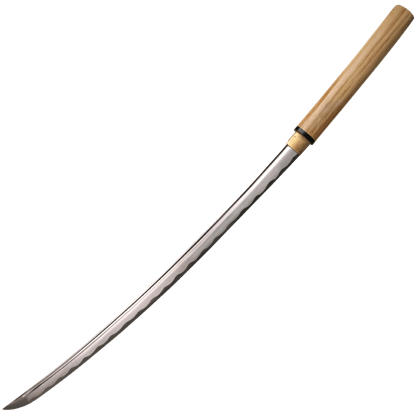 Often referred to as a Cane Sword because this weapon was frequently chosen by Samurai because its sleek and simple appearance made it very easy to conceal. If you are looking for a traditional Japanese blade with good quality and an affordable price, be sure to check out the Black Wood Shirasaya with Lacquer Scabbard. This oriental sword features a classic, minimalist design. This gorgeous oriental sword makes a fantastic addition to the collection of anyone who loves traditional Japanese blade designs. The Burgundy Wood Shirasaya shows off a lovely red wood handle with real buffalo horn koiguchi. This gorgeous oriental sword makes a fantastic addition to the collection of anyone who loves traditional Japanese blade designs. The Natural Wood Shirasaya shows off a lovely pale wood handle with real buffalo horn koiguchi. If you are looking for a traditional Japanese blade with good quality and an affordable price, be sure to check out the Natural Wood Shirasaya with Lacquer Scabbard. This oriental sword features a classic, minimalist design. 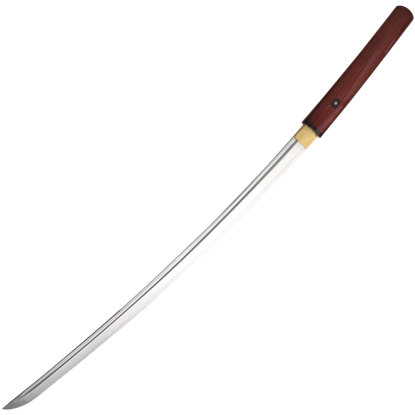 The Shirasaya Katana is a great functional oriental sword. 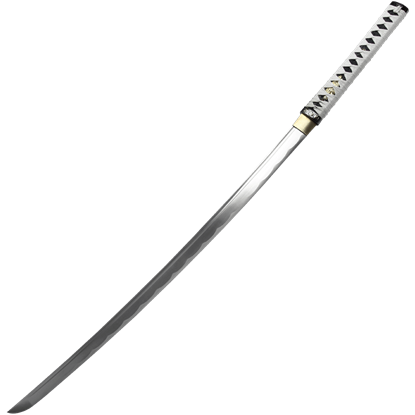 The Shirasaya Katana has an overall length of 35.5 inches and a blade length of 27 inches. 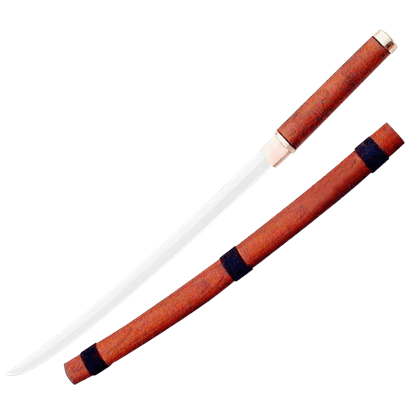 The Shirasaya Katana has a wooden handle and a wooden scabbard is included. 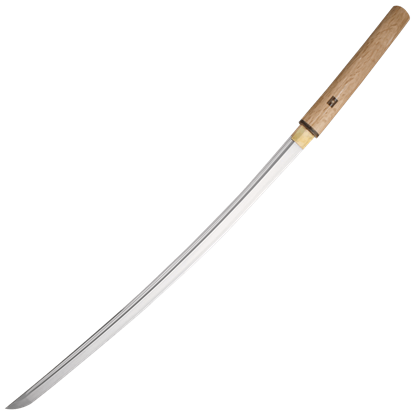 The Shirasaya Wakizashi has an overall length of 24 inches and a blade length of 17.25 inches. 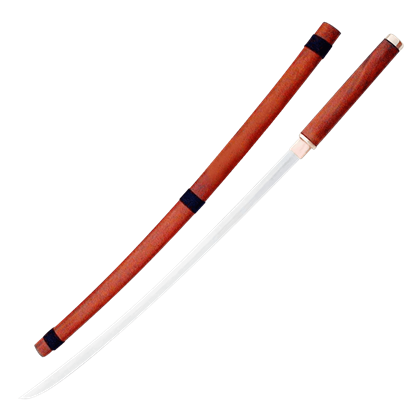 The Shirasaya Wakizashi has a wooden handle and a wooden scabbard is included. 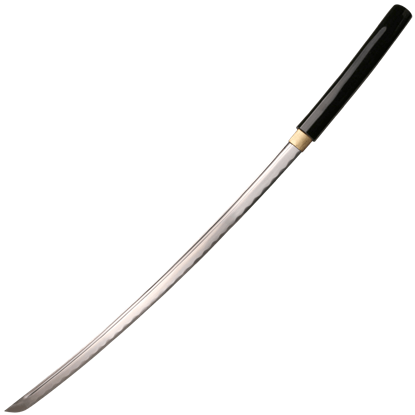 This Shirasaya Wakizashi is a great sword for martial arts. When you want a stunning katana for your collection, be sure to check out the White Scabbard Shirasaya with Dagger. This hand-forged katana displays intricate ornamentation with golden floral designs and comes with a matching knife. This is adorable and perfect! A fun, inexpensive accessory to a costume, but still sturdy and well-made. The purple glass is really pretty. Thank you!